2. 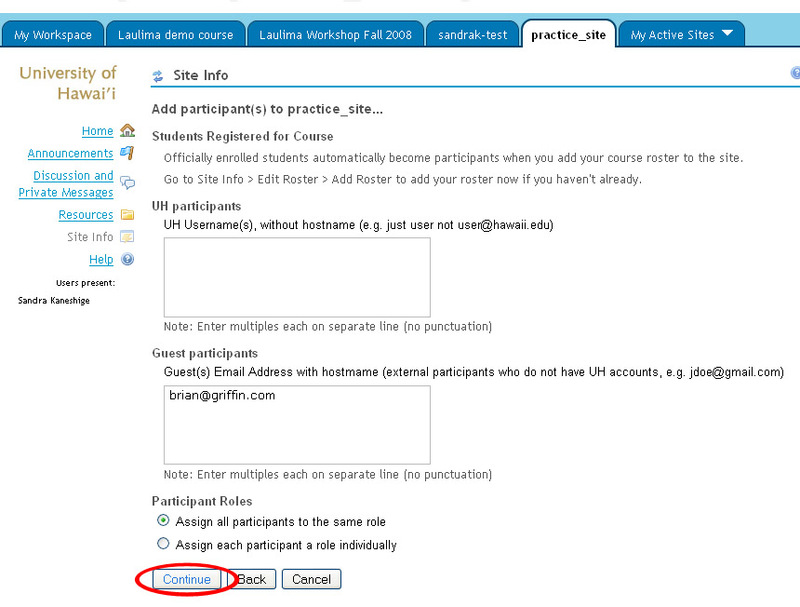 Using the Menu bar select the link for "Add Participants"
3. 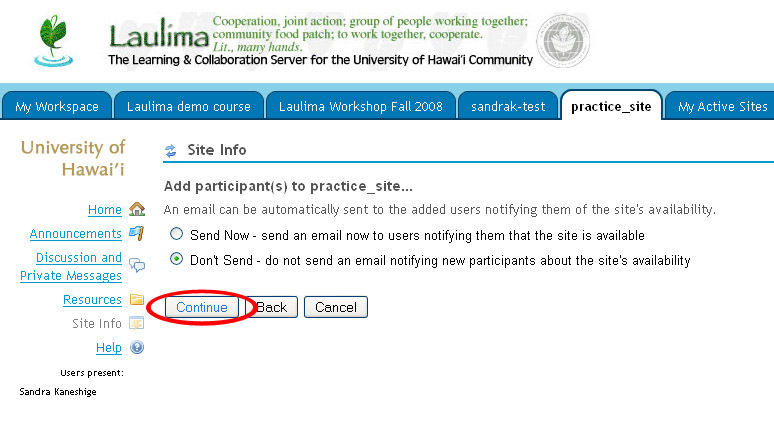 IN the text block for "Guest(s) Email Address" type in the VALID email address of the participant, then click "Continue"
*NOTE: If you are trying to add an e-mail address such as xxxx@rcuh.hawaii.edu, it will not go through. 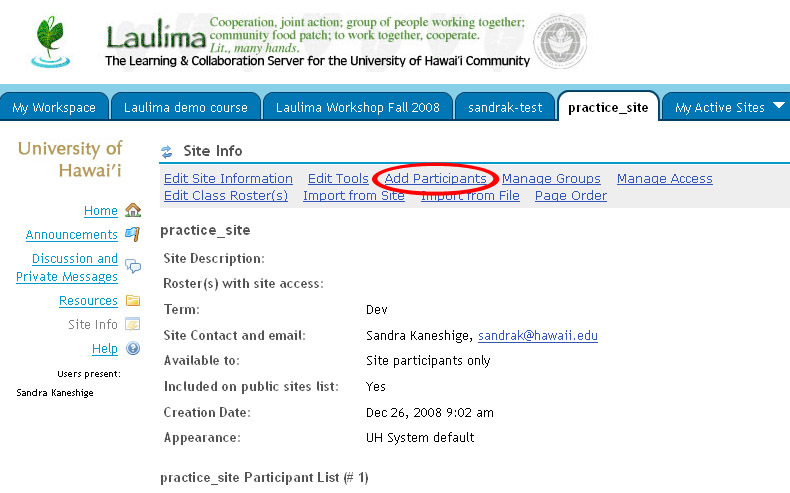 The .hawaii.edu at the end of the e-mail causes a problem in the system. 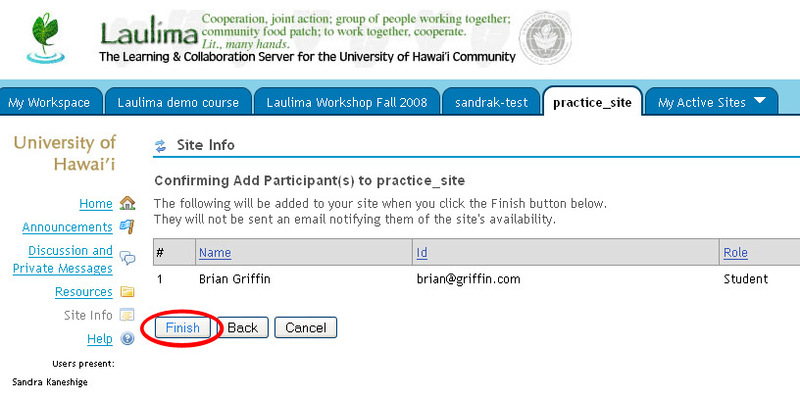 If the person you are trying to add does not have a UH username, they will need to use another e-mail other than one that has the .hawaii.edu at the end of it. 4. Select the type of user access you want this participant to have in the course (in this case I only want them to have normal student access), then click "Continue"